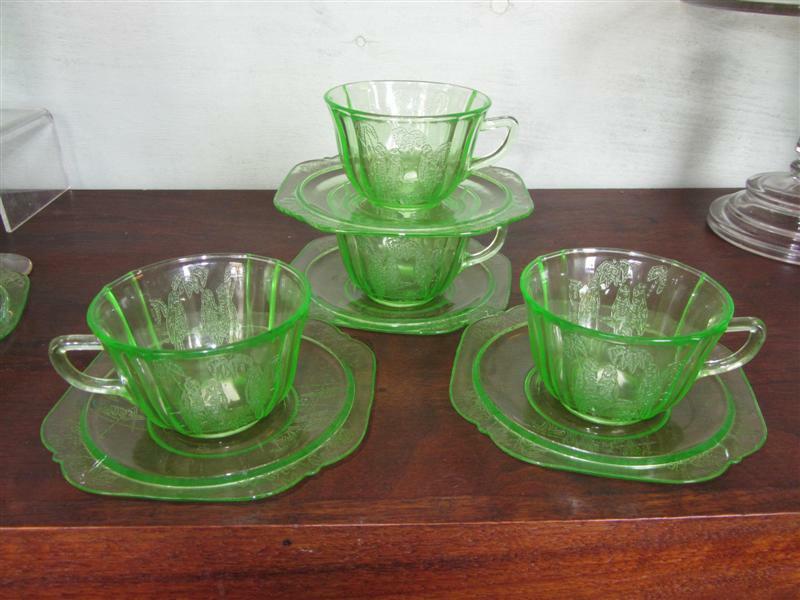 Four fabulous green depression cups and saucers in the “Parrot” or “Sylvan” pattern. 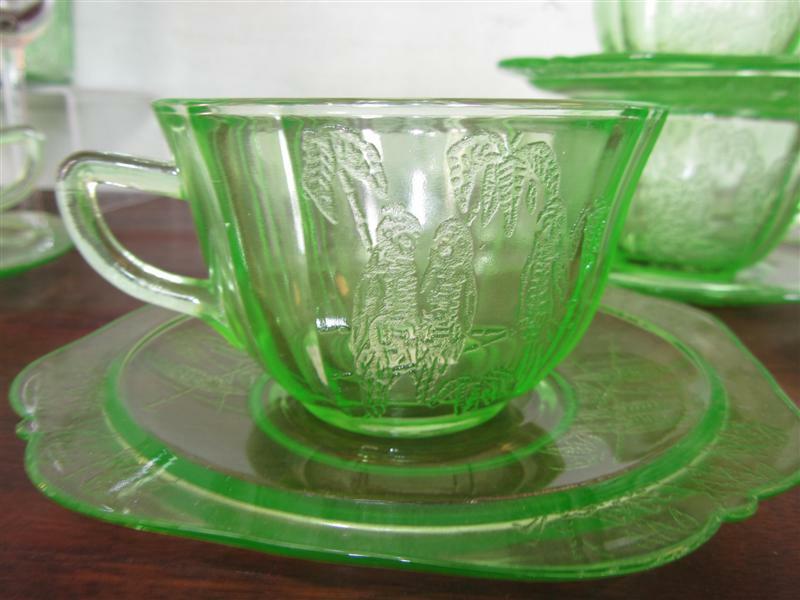 This pattern was produced by the Federal Glass Company from 1931-32. Pictured here are four, but we have more. 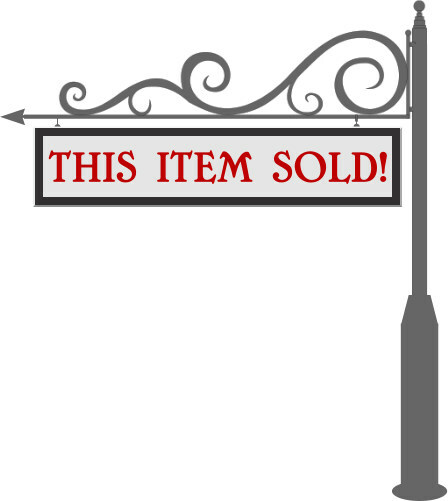 We have these priced at 22.00 for each cup and saucer.